Please allow 15 minutes after purchase for your account to be activated. If you are still unable to access it please contact us. I’ve just purchased a subscription. How do I access the questions? Once you have logged in, select either ‘Take Mock Exam’ or ‘Revise by Subject’ from the left hand column of the dashboard. We also recommend reading the Start Here page before starting your revision. First, make sure you are logged into the site. Then choose ‘Account Settings’ from the left side of the dashboard and then click ‘Extend Your Subscription’. How do I access the Free Guide? Once you have logged into your account you will find a link to the 'Free Guide' on the left column of the dashboard. Can I try before I sign up? Yes. 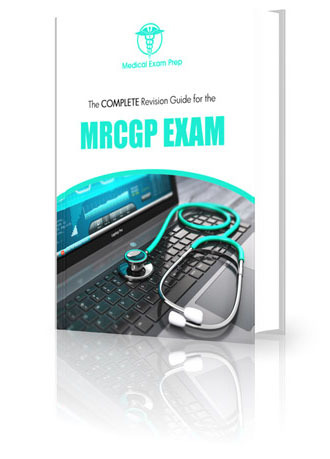 Please try our sample MRCGP AKT Exam Questions here. How can I make the most of using the MRCGP Exam Prep online revision courses? The questions in the online courses are specifically designed to help prepare each candidate for those that will be met in the actual MRCGP AKT examination. Upon subscribing you will be given the option to sit either a mock examination or a subject-specific examination. It is a good idea to sit a mock examination initially and then again at periodic intervals throughout your study period. The questions in the mock examinations are drawn randomly from the question bank in the same distribution that will found in the exam that you are preparing for and this will give you a good benchmark of your progress. The majority of your study should be through the subject-specific categories which will keep a record of previously encountered questions to ensure that you are working systematically through the entire question bank in each sub-section. Who creates the questions for the online course? Our content is created by doctors who work in General Practice and have successfully passed the MRCGP examination. We accept credit cards, debit cards and PayPal payments. We use 2Checkout.com as our payment gateway - one of the largest and most secure payment processors in the world. Security is important to us, and 2Checkout has the highest level of PCI compliance and anti-fraud measures in place. Is the course compatible with my browser / tablet / smartphone? The online course has been tested with most combinations of modern browsers, smartphones and tablets. If in doubt, try the sample test here. At present, except in instances of billing errors, we do not offer refunds. Can I write questions for MRCGP Exam Prep? We always welcome potential contributors. Please get in touch with us via the contact form. Where can I find out about MRCGP examination dates and locations? Info regarding MRCGP examination dates and locations can be found at the Royal College of General Practitioners website. How many questions are currently available in the databases? The AKT database contains over 3500 questions, including 1900 'single best answer', over 1300 'extended matching' and over 300 'free text' questions. The number of questions available in each category is available only to subscribers. To aid with revision planning, subscribers can get additional information regarding their progress through the databases immediately before and after taking subject-specific exams. My question still hasn't been answered. How can I contact you? Please forward all contact via the contact form. I've finished all the questions on my account and I'd like to start over. First, make sure you are logged into the site. Then choose ‘Account Settings’ from the left side of the dashboard and then click 'Reset Statistics'.